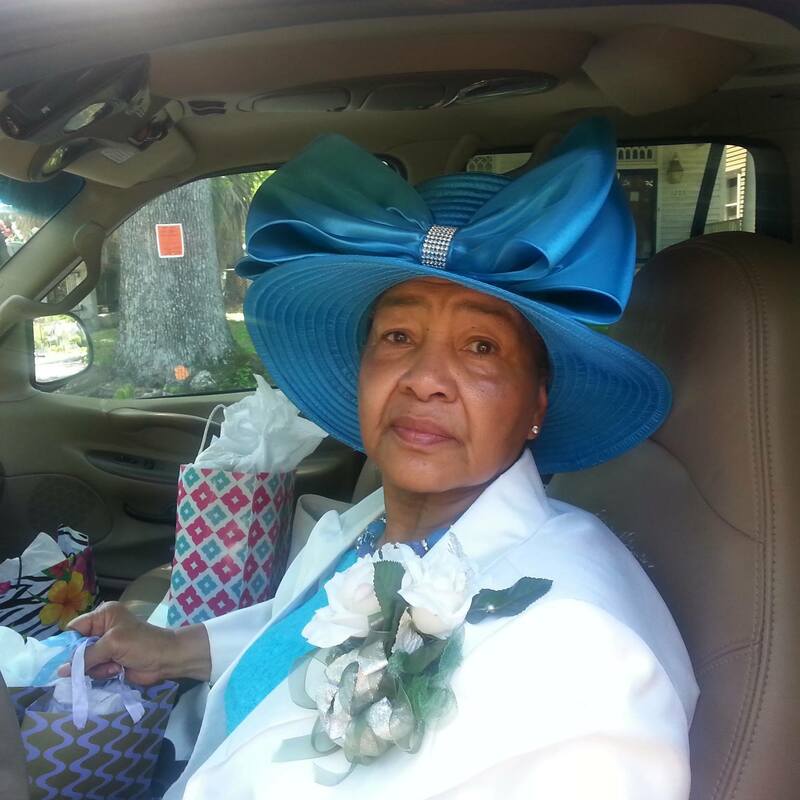 On January 22nd, 2015 she took her last breath, two hours before I got to there. Normally I would be sad that I could not tell her that I have loved her all of my life, and I am better person for knowing her, but I did not feel that when I walked into her bedroom minutes after finding out that she had already transition. I felt a big lost, a heavy heart, and a tremendous amount of grief, but with all of that was peace knowing that she was not in any more pain from the cancer that was ravaging her body. 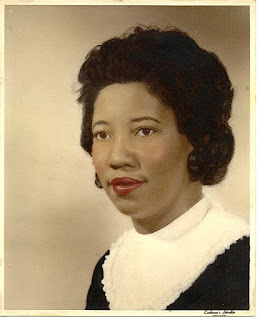 My Aunt Helen was like a big sister to me for many years, because she was only 17 years my senior; then there were those times when she was a second mother, and later a best friend and confidant. Yes, Helen Maxine Ryals Thornton was many things to me in the 54 years that I knew and loved her. She even named me when I was born. She was my mother's baby sister. Now my mom is the only one left from her immediate family, and that saddens her in many ways. Betty was the middle child. 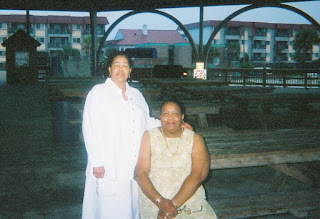 Losing her older sister Bernice Ruth Ryals Giles in 2005 and now her baby sister Helen, has taken a toll on her heart. You can see it in her eyes, but because she knows God so well, she is able to carry on. For many years they were like Mutt and Jeff, always together. That changed in the last few years after Helen had a back surgery that really changed her quality of life. Yes she was able to get around but not like before. These three girls were funny together, they had lots of good times. Bernice lived in Chicago Illinois, while Betty and Helen both lived in Savannah. My grandparents would really be proud of their girls. These two were together until the end. Helen wanted her big sister by her side, and her big sister would not have been anywhere else. Aunt Helen, you know that you are truly missed her with us, but we knew that you were tired, we did not want you to have any more pain, we all were willing to let you rest. I hear that you even saw your mother before you left, that she was with you, and that, through all of the hurt, brings me comfort.